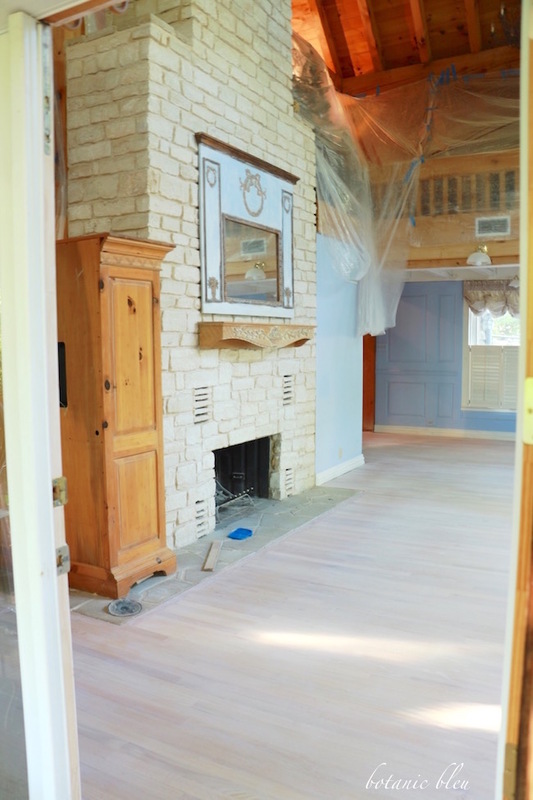 The house is getting a deep cleaning since sawdust and dirt landed everywhere during the floor refinishing process. Every surface is being wiped down, vacuumed, washed, polished, and cleaned. Scaffolding was used to reach the upper parts of the living room window wall to clean the walls, windows, posts, and beams. One major change is the rug. Previously there was a much larger needlepoint wool rug that became misshapen over time and has small holes from insects. The background is black which discolored the wood floor through the rug pad underneath it. The new smaller rug brightens the room since there is so much white in the pattern. 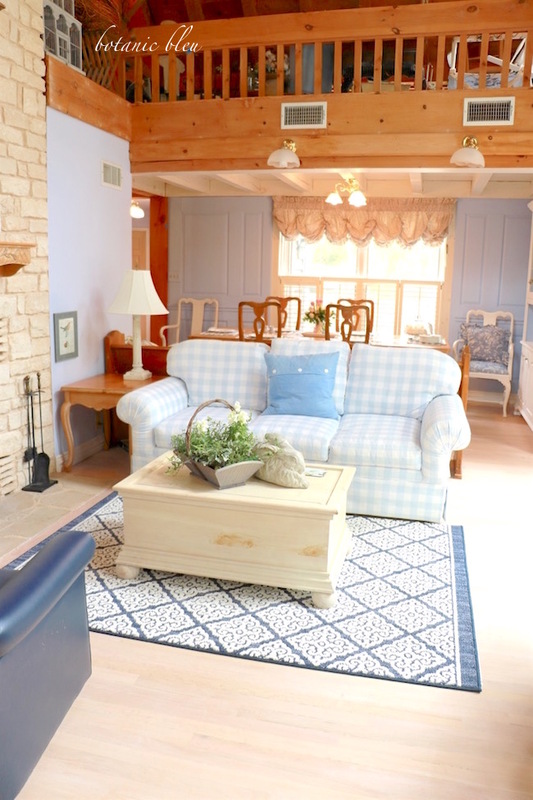 Plus the dark blue goes with the room's colors better than the older rug with its black background. 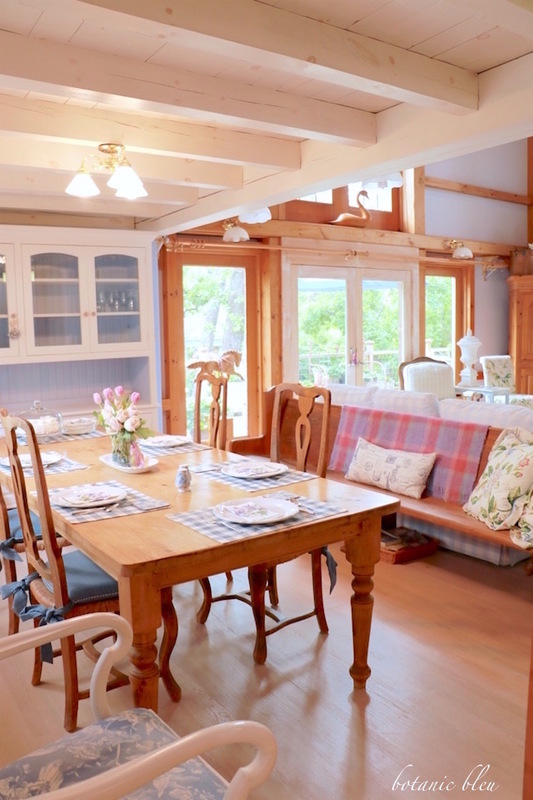 In the dining area of the living room, the dishes need to be returned to the china cabinet. Since the china cabinet had become overcrowded and needs to be decluttered, many of the dishes will not be returned to the china cabinet. This area also had two counter stool chairs sitting on either side of the china cabinet which are now making someone very happy at Goodwill. The counter stools were so comfortable, but their cane seats need repairing. I finally decided to take them to Goodwill instead of spending time working on them. Their style is modern which does not fit with my overall design of French Country. I love the look of the room without drapes. We did not have drapes for the first couple of years after we built the house, but really do need them to control privacy, light infiltration, and temperatures. When I am in the house by myself at night, I like to close the drapes. That makes me feel more secure since people cannot see who is in the house or where they are in the house. During the summer, the drapes help block the strong sunlight. 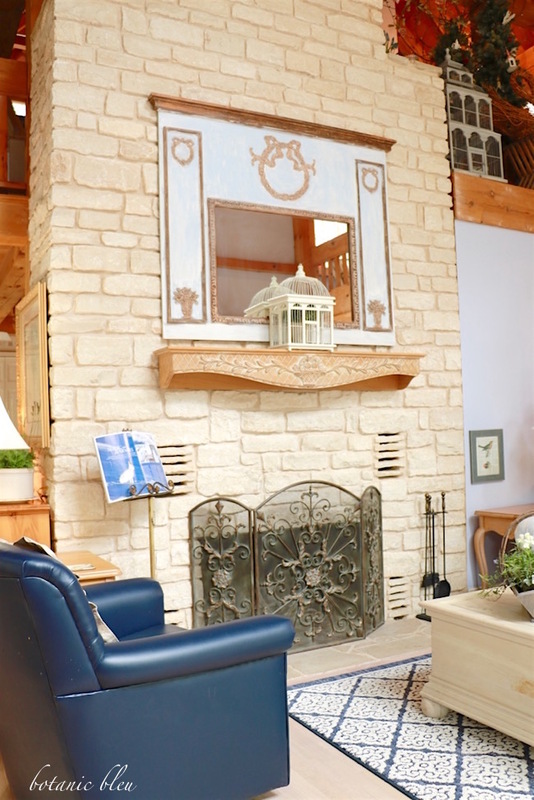 During the winter, the drapes help keep the room warmer by adding layers of insulation over the French doors. 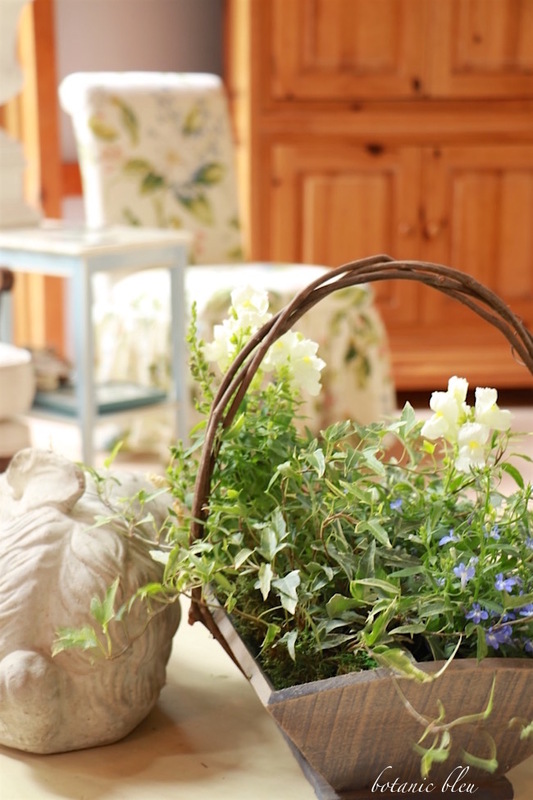 A rustic basket of fresh bedding plants and ivies adds a touch of Spring to the blanket box used as a coffee table. I am considering replacing the blanket box with a wooden coffee table with French style curved legs. Refinishing the floor has opened my mind to new possibilities for furniture changes. The floor was finished the week before Easter and just in time for some Easter decorations. 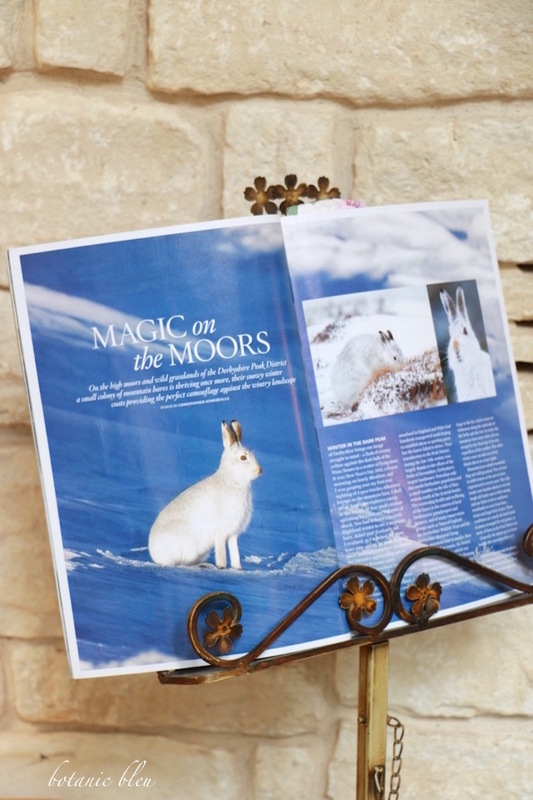 The music stand by the fireplace displays a magazine spread about white hares in England with perfect colors and photos for the living room at Easter. 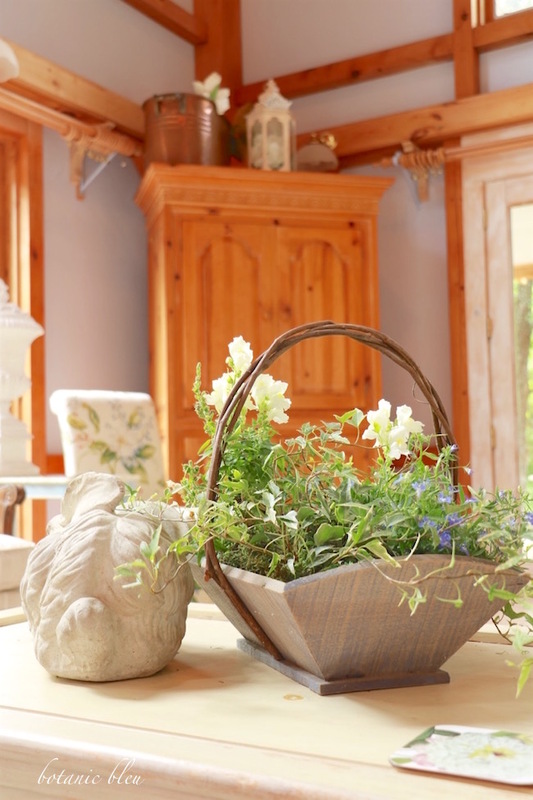 What is it about Spring that invites refreshing our homes with renovations, Spring cleaning, and planting flowers? The freshly cleaned and renovated living room oak floor makes my heart happy. There is still one more area with new flooring to see... the kitchen and breakfast sunspace. I just finished styling the plant stand that became a plate stand this Spring and moved it to a different spot in the sunspace. Wait 'til you see the cutest moss bunny sitting on the top shelf! Its a big job to clean up after this kind of work, but it is worth it! Your floors look great and so do your rooms. 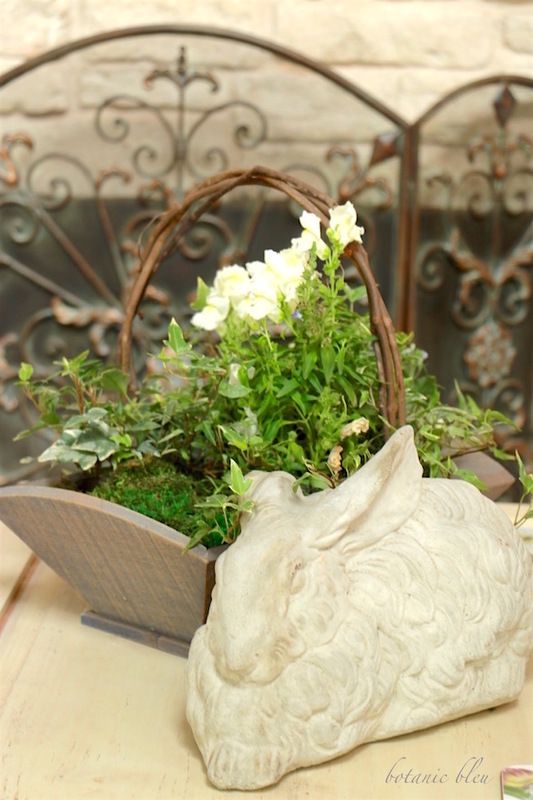 My favorite is your rustic planter, and I love the hutch too! Judith, your house is looking amazing!! 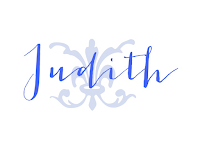 Judith, what a huge accomplishment and beautiful transformation! I know exactly your feeling of decluttering (I still haven't styled my kitchen, as painters are here yet again), but I don't want to even bring back things like the toaster oven on the counter. Love the rug, and it really looks wonderful. Like you, we're cleaning walls, changing filters & the list seems to be growing, not shrinking - why is that?? Love your new flooring! Gorgeous! It all looks so fresh and clean. I particularly love the sight of sunshine streaming in your rooms. 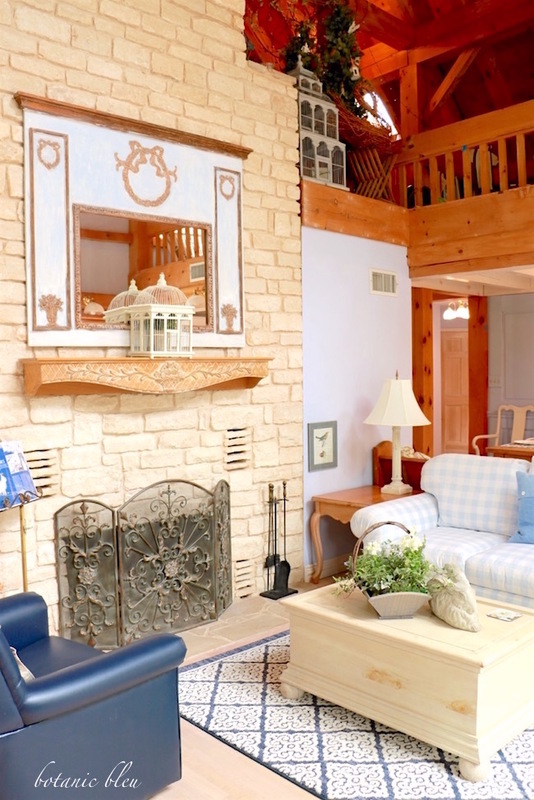 The over-all color scheme is so relaxing and inviting, and the floors are pure perfection! 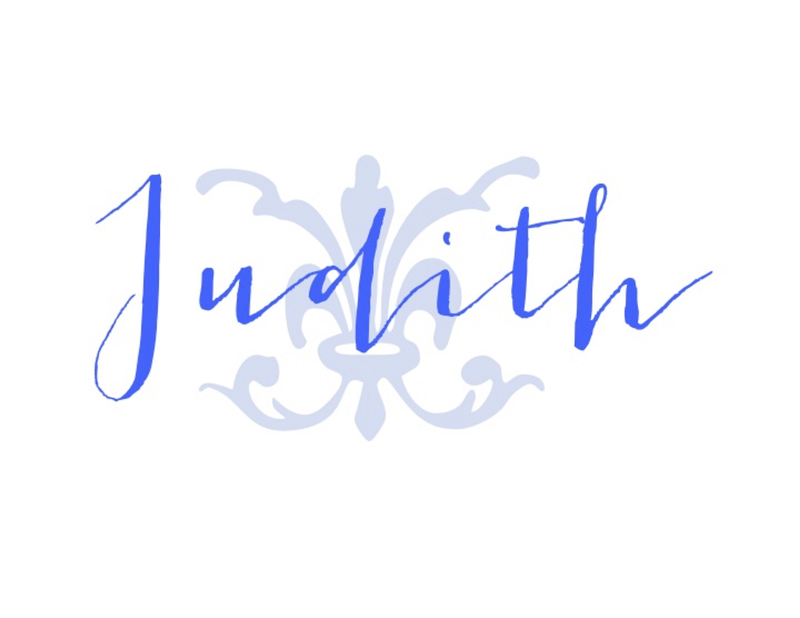 How lovely your home looks, Judith. Isn't it nice to have things refreshed and renewed. It feels just like Spring, I think. I love a good spring cleaning. Everything looks fabulous. I love your mantel and the mirror. So pretty.